With more favorable weather conditions so far. 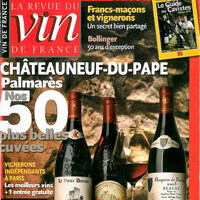 We can say that the harvest Started in Châteauneuf-du-Pape. The grapes fall gradually in the cellars, starting with Roussanne and other white grapes. Red will follow the same path in a few days. This vintage looks very promising.